Yvon Chouinard-legendary climber, businessman, environmentalist, and founder of Patagonia, Inc.-shares the persistence and courage that have gone into being head of one of the most respected and environmentally responsible companies on earth. From his youth as the son of a French Canadian blacksmith to the thrilling, ambitious climbing expeditions that inspired his innovative designs for the sport's equipment, Let My People Go Surfing is the story of a man who brought doing good and having grand adventures into the heart of his business life-a book that will deeply affect entrepreneurs and outdoor enthusiasts alike. 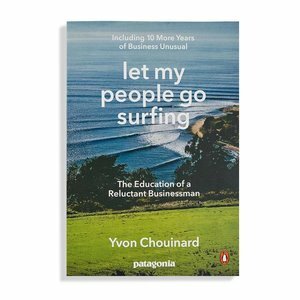 A newly revised edition of Let My People Go Surfing is available now.